As we come to the end of the calendar year, many businesses have started to wind down and are in the middle of recovering from the much-awaited Christmas party and planning for their annual shutdowns over the Christmas and New Year period. Proactive businesses will have now turned their focus to planning for 2017 and looking for ways to improve on this year’s performance. However, what many businesses fail to turn their minds to is reviewing the performance of their employees, whether it be because it is an uncomfortable and sometimes awkward process and is thought to be a waste of time or simply because other issues take priority at such a busy time of the year and businesses write off the value that performance reviews can add to the organisation. Recently, there has been a trend towards businesses announcing that they have ditched performance reviews altogether, citing that they are too structured and formal, give managers an excuse not to properly manage staff during the rest of the year and take too long to prepare for and attend. Whilst this can certainly be true of some performance reviews, a well-planned and organised performance review process can a be a positive experience and can assist not only poor performing employees but also high performers to improve on their performance, offer meaningful information to a business about employee’s concerns and thoughts on the way things are being done and build rapport between a manager and their staff. The time that it takes to carry out performance reviews is often cited by businesses as being one of the key frustrations for both managers and employees. Whilst I have certainly seen some performance review forms that are overly complicated and require managers and their staff to dedicate significant amounts of time and thought to completing them (and these definitely have their place in some organisations), businesses that do not have the time, resources or inclination to carry out such an arduous process should not neglect the performance review process completely. Some of the most effective performance reviews that I’ve seen require little more than employees and managers to dedicate an hour of time to complete the necessary paperwork and have a meeting to discuss the forms. The forms can be relatively uncomplicated and simply require the employee and the manager to list the employee’s strengths/perceived strengths, areas which require improvement and future goals to work towards during the next six to twelve month period. The forms that have been exchanged beforehand can then be expanded upon and used as discussion points during the meeting, ensuring that discussion is structured and that both parties have prepared in advance to assist in making the discussion meaningful and positive. Performance reviews do not need to be awkward and uncomfortable, provided that feedback is delivered in the right way. Performance reviews should not be an opportunity for managers to savage an employee about the things they are doing wrong and instead, managers should raise not only areas than an employee needs to improve on (in a constructive and supportive manner), but also praise them on the things they are doing well and how they are assisting the manager and the organisation at large. Many managers incorrectly assume that advising an employee that they need to improve specific areas of their performance is uncomfortable for employees to hear. Conversely, many high performing employees are actually looking for areas to improve as any self aware employee will be aware that no matter how well they may be performing, there are always areas to improve. Further, good managers should be providing feedback throughout the year and not only during performance reviews and therefore, things that are said during a performance review should not come as a shock to an employee. Performance reviews are also an opportunity for managers to check in with employees as to how they are going and build a positive relationship, which might otherwise be neglected during busy periods. If a manager genuinely feels apprehensive about having a performance review with an employee because they will have to have a difficult conversation about their performance, this is exactly the reason a performance review should be held. Some employees are completely unaware that they are underperforming, despite how obvious it might be to managers and even other colleagues. Having an honest and frank discussion and putting an employee on notice of the fact that they need to improve not only assists the employee to understand the concerns that the business has and hopefully, motivate them to address those concerns, but will also create a paper trail that will assist with any future disciplinary action that is taken, including defending an unfair dismissal application should it arise. One issue that I often see arise with respect to poor performing employees is that businesses are reluctant to inform the employee that it has concerns with their performance and as such, the employee is allowed to under perform for a significant period of time, until the business finally becomes fed up and decides to terminate the employee. This often results in the employee claiming that they were unfairly dismissed because they were not provided with the opportunity to improve their performance. In Banadar v Synchronoss Software Australia Pty Ltd  FWC 2728, an employee was found to have been fairly dismissed after he was notified during a performance review that he was required to improve in five different areas. He was subsequently put on a performance improvement plan and after failing to improve, his employment was terminated. The Fair Work Commission found that the employee was on notice of the need to improve his performance as the employer was able to produce documentary evidence from his performance review demonstrating this. Performance review meetings are also a great opportunity for managers to get feedback from employees about concerns that they might have about the business and other colleagues. Some managers underestimate just how difficult it can be for employees to bring up concerns that they might have, whether it be because of time constraints or the fact that the conversation is uncomfortable. A performance review meeting often provides the appropriate forum for these issues to be raised and discussed in a meaningful way. Further, performance reviews also offer an opportunity for managers to obtain insights and feedback on the way things are being done in the business, ideas that staff might have on the way processes can be improved and how members of the team are getting along and working together. Whilst performance reviews can be somewhat time consuming for businesses, especially given they are usually held at peak times at the end of both the calendar and financial years, they can also be important management tools to gain insight not only into how staff are performing but also how they feel about the organisation, their work and their colleagues. 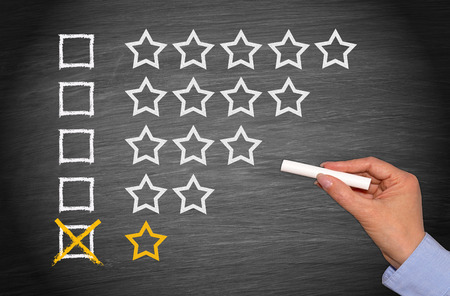 A well run and organised performance review will operate as a two way street, where both parties receive feedback and information and can use the information to improve both individual and business performance.